New Zealand has considerable reserves of coal, some of which is mined near Huntly in the Waikato. A neighbouring power station, pictured here, draws primarily on coal to generate power. 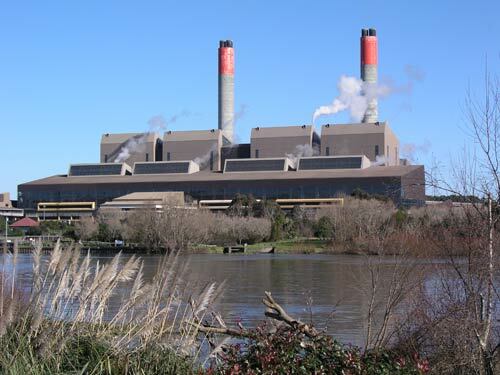 Sited on the banks of the Waikato River, it was commissioned in 1983, and has a turbine hall 403 m long and chimneys 150 m high.